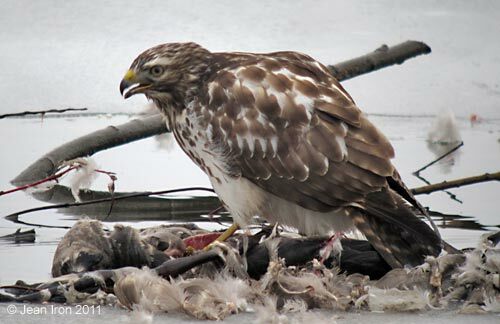 Juvenile Red-shouldered Hawk feeding on dead Canada Goose at Pringle Creek, Whitby on 5 February 2011. The dead goose was floating in the water. Two other dead geese were nearby. The goose carcass was floating and unstable. 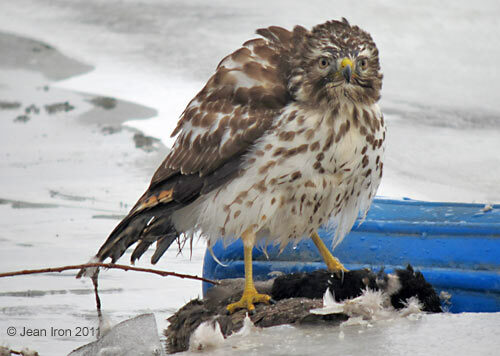 The Red-shouldered Hawk slipped into the water, soaking its tail, wings and belly. 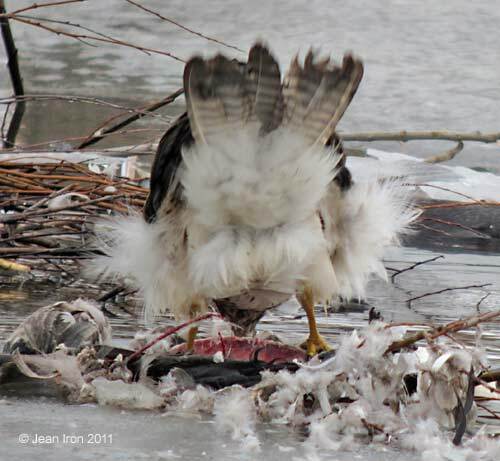 It hauled itself out onto another dead goose. 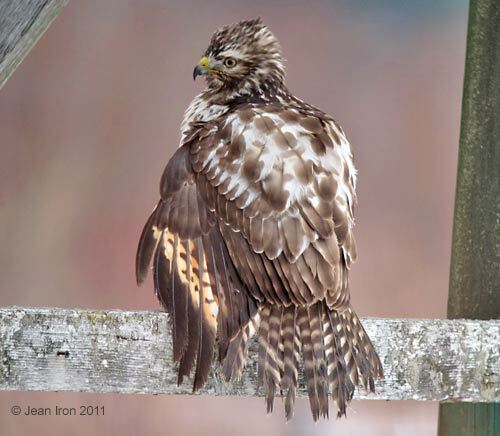 Then it flew to a nearby structure and spread wings and tail to dry. 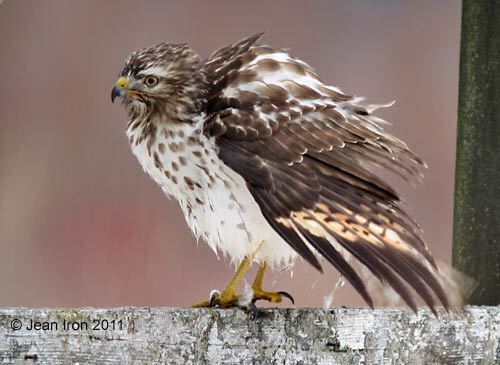 The tail is very worn caused by perching on the ground to feed. 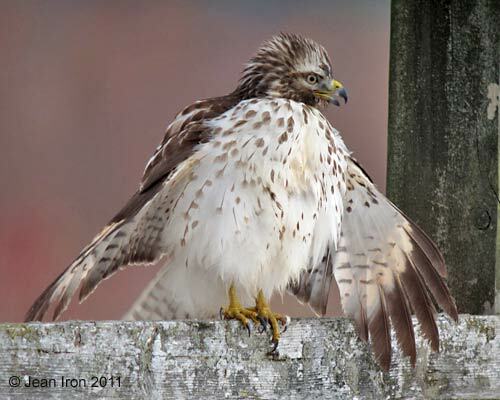 The pale narrow buffy panel in the wings is typical of a juvenile Red-shouldered Hawk. It dried out and flew away.